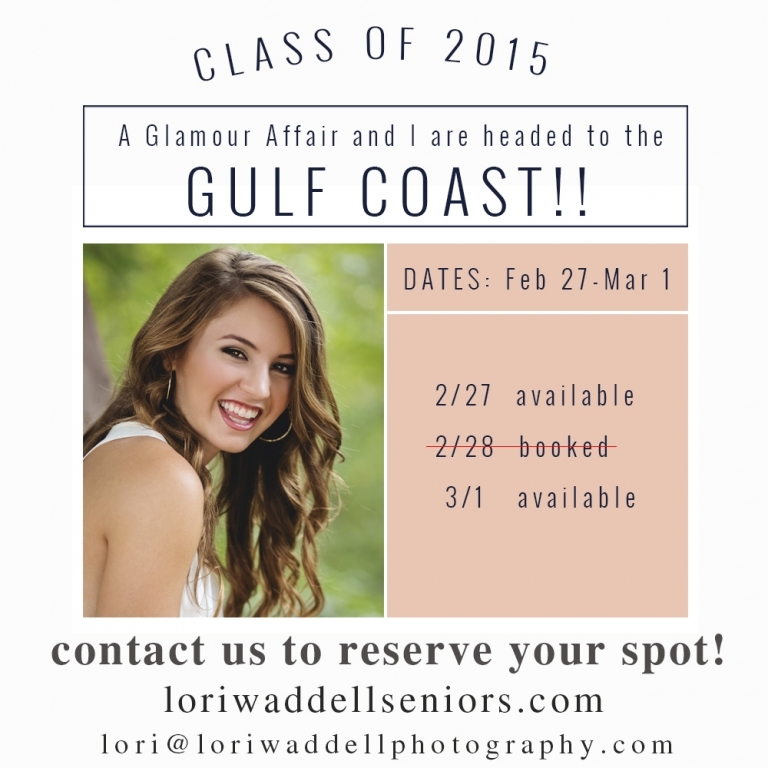 In a couple of weeks A Glamour Affair (hair and makeup) and I will be heading to the gorgeous gulf coast for a destination senior session! I am excited to announce that we have opened up a couple of more dates for the class of 2015!! Contact us above to reserve your spot!